The County is divided into twelve (12) Districts based on population. Members are elected for four-year terms. One member is elected in each District every two years. However, all twenty-four (24) members are elected at the November General Election in the second year following a decennial census. 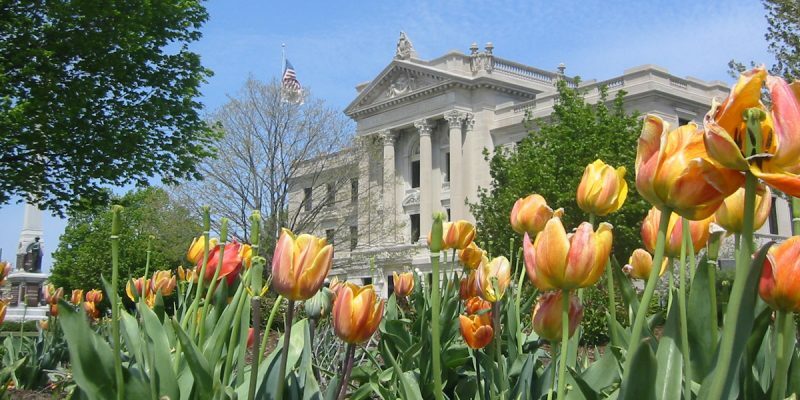 The County Board meets on the third Wednesday of each month at 7:00 p.m. in the Gathertorium in the Legislative Center of the Sycamore Campus (unless otherwise noted in the agenda). Other meetings may be held when called by the Chairman or requested by at least one-third (1/3) of the members. The County Board has eight (8) standing committees, which meet regularly once each month. Each member serves on two (2) committees. Committee appointments are made by the Chairperson, with the concurrence of the County Board. 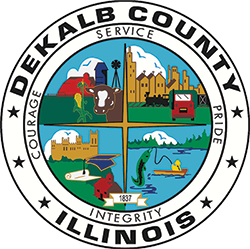 Members serve concurrently as Commissioners of the DeKalb County Forest Preserve District. The Commissioners’ meeting is held immediately following the County Board meeting on the third Wednesday of each month. Officers include a President and a Vice-President, elected in the same manner as officers of the County Board. Traditionally, these officers are the same persons as the officers of the County Board. The President appoints a number of commissioners to serve as a standing committee. This committee meets regularly each month.